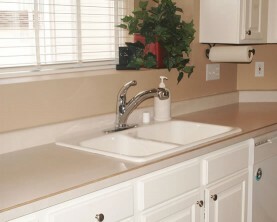 Painting countertops - Is this a good do-it-yourself project? Peeling is a common problem with DIY counterop painting. Miracle Method's spray finish will really bond! Do-it-yourself countertop painting systems have been marketed as a simple, affordable and hassle-free way to transform a worn or damaged laminate countertop. Unfortunately, most do-it- yourself kits lead to disappointing results which often have to be fixed by a professional refinisher. Painting Countertops – What could go wrong with a DIY kit? A lot can go wrong when you attempt to paint Formica™ countertops. #1 – read the instructions on the outside AND THE INSIDE of the box and be sure you are prepared to tackle the job. #2 – Continue reading so that you learn what you REALLY need to know. > Base and top coats are Combustible….take necessary precautions! > A NIOSH approved Respirator…a dust mask does NOT protect against vapors! The Miracle Method 7-layer process provides a waterproof, durable, finish that bonds! In order for the color chips to properly stick, the base coat must be wet. There is about a 20 minute window to roll the base coat out and still get the chips to stick before the base coat dries and loses its stickiness! Two people are recommended for this application. Rolling the top coat can easily result in “striping” which leaves an uneven appearance. Ultimately, the promise of a smooth, even finish using a single sanding “tool,” a roller and brush for a base coat, a hand held “fertilizer” type spreader for color chips, a chip scraper and another roller to apply a clear top coat is a lot to ask from the typical DIY homeowner. Painting Countertops – Why should I hire a professional like Miracle Method? The keys to a beautiful finish are preparation, using the right materials, and a professional application. 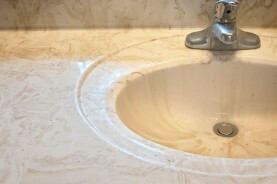 Painting Countertops – Will a professionally refinished countertop look that much better than the results of a DIY kit? Definitely! The sprayed application will be more even and Miracle Method’s Natural Accent’s colors are more vibrant. You'll not only be able to see the difference, but feel it as well, as our clear coat provides a lightly textured, scratch resistant surface. 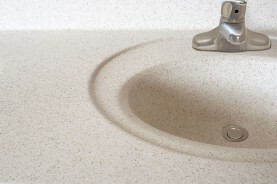 Painting Countertops – Will my DIY kit work on Corian®, Silestone®, tile or cultured marble? The instructions on the major brand countertop refinishing kit only says it “adheres to laminate” surfaces. Miracle Method’s Natural Accents™ process works equally well on all synthetic surfaces like Corian® and Silestone®, as well as on ceramic wall and floor tile, porcelain, cultured marble, fiberglass and acrylic surfaces. Unlike DIY kits, Miracle Method's process works equally well on culture marble vanities and tile surrounds. 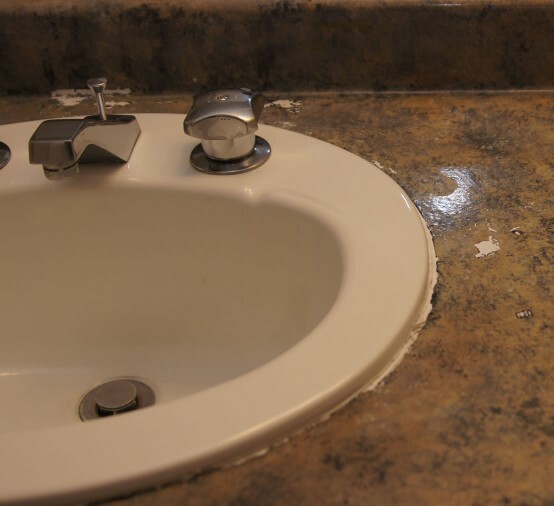 Painting Countertops – Replacement vs. refinishing? Professionally done, Miracle Method’s countertop refinishing can save a homeowner up to 75% over the cost of replacement and truly create a countertop transformation for laminate, tile, Corian® or Silestone surfaces. 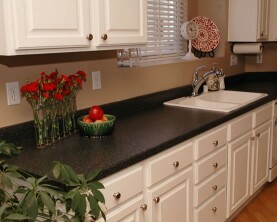 Painting Countertops - Compare before you decide…get a free estimate! Click on Find a Location or call our toll free locator number, 1-888-271-7690, to find the Miracle Method office closest to you and request a free estimate. When you have all the facts, then you'll understand the process and why painting countertops is not an easy DIY project.